I'm starting to fit into my skinny clothes again! 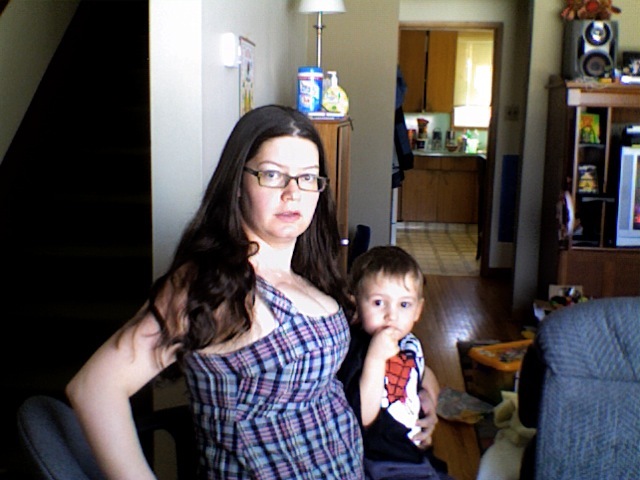 I made this pretty plaid dress in April of 2009. I was 4 months pregnant with Lane and I was still thinner than I have been. Gah! Here I am wearing this dress in April 2009. Yup, that is a serious baby bump. I had to put it away for a few years. But I finally had the guts to try it on again. Anyway, it's nice to have a new summer dress to wear. Are you the type that donates clothes when they no longer fit? I usually am. I don't want to see my "thin" clothes cluttering up my storage and reminding me of how big I've gotten. But when I took so much time to handmake this particular dress, I felt compelled to keep it. I'm glad I did! What a great feeling it was to have the zipper zip up without struggle. GORG!! Sew crafty too! Congrats!